In our first installment of You Down with IOT, we defined the internet of things (IoT) and its application in healthcare. 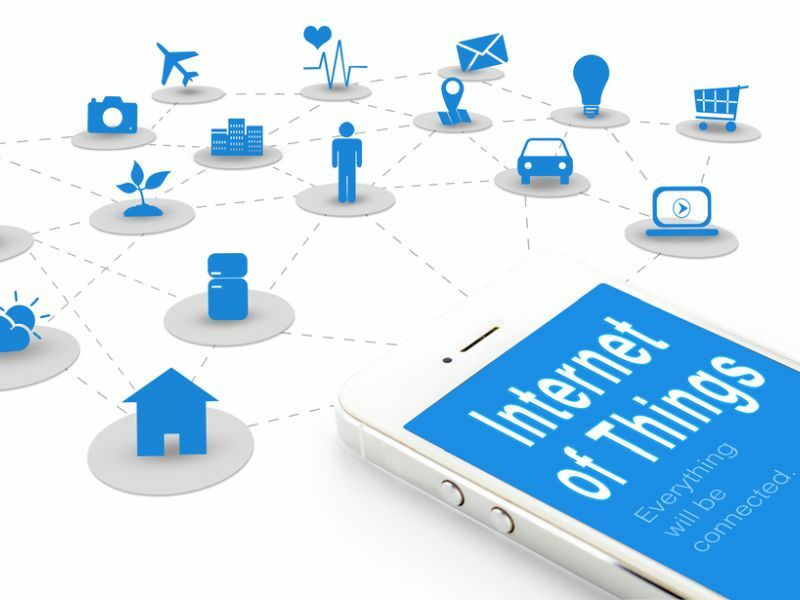 If you are reading about IoT for the first time, IoT are internet connected devices which include: wearables, mHealth applications, home monitoring devices, implants, mobile/tablet devices and skin sensors. The IoT has the power to connect patients and providers in ways never possible before. For example, IoT devices can transmit vital sign data from the home to the hospital allowing for remote patient monitoring. As more and more people adopt health IoT devices, healthcare organizations should follow suit. The IoT workflow is simple. The device collects data from the user. That data is then transmitted from the device to a user interface that is accessible generally by an application on a smartphone, tablet or computer. The user then can view the data and analytics included in the app, share the data on social media or email it to a friend or embed that data into a specific workflow. Most of you probably have seen someone post their jogging route on Facebook. That social post complete with route analytics was shared by the user through an IoT application. Instead of jogging, let’s apply it to healthcare. What if a heart failure patient isn’t taking their regular number of steps or if a diabetic patient’s glucose spiked? An IoT device has the ability to send an alert to a provider notifying them of the risk. Having access to a patient’s IoT data can save lives. Also, with the changing economic landscape and the shift from volume to value, the ability to remotely monitor patients can help manage risk. IoT is the next breakthrough in healthcare technology. However, there are going to be barriers to adoption. There are going to be questions about the security and reliability of the data. Interface and integration issues will arise as healthcare organization try to fit this data in their workflow. There will also be training issues about how and where to access this data. All of these issues arise when there is the adoption of any new system or technology, but there are benefits to consider. Improved health monitoring - With the shift from volume to value, healthcare organizations are being asked to do more with less. Healthcare organizations are also managing risk. The balance between managing risk and doing more with less is remote monitoring. This monitoring can alert you to a patient at risk and allow you to take action. IoT also helps monitor preventative measures. Quantifying qualitative data - mHealth application deploy PROs which allow patients to provide data that can help track progress and prove outcomes. Unstructured data like patient comments can be put into actionable buckets (based on natural language processing) allowing organizations to filter and manage a high velocity of unsolicited feedback in real-time. Improved Patient Engagement and Satisfaction - The number one reason people don’t provide feedback about their care is that they don’t believe that health organizations will do anything with that information. However, if a person was assured that the health organization was listening and participating in collaborative IoT initiatives, there would be greater engagement and satisfaction with their patient experience. Promote better care management and population health management - Whether on an individual basis or looking at population health, the ability to gather more personal health data can provide data, insights and reveal trends to help provide better care. While there are many touchpoints and devices, combining IoT devices can provide a 360 degree view of the patient. For example, at Care Experience we have partnered with TVR to connect our digital rounding platform with pCare, an interactive patient system that allows the patient to interact with the TV. The result allows for a singular view of nurse rounds and patient interaction. The solution is a complete integrated view of the patient stay in both the lens of the patient and the provider. This solution will allow organizations to view data across their IPS and their rounding initiatives within their hospitals.